What better than to start the month off doing another 30 day challenge? Hahaha. Like I always say, it's ONLY 30 days of your whole life so it's not that long to commit to! As some of you know I've done 2 of these sort of challenges before but I haven't actually posted results of the challenges, due to not blogging for a while! But I'll let you know now that the challenges were success and great! A little about myself first: I am 5'6" and weighed 58kg at the start of this year. I wasn't over weight or anything but I never really liked how I looked. I know.. I'm a lil crazy some might say. So I began to try lose some fat around my waist, thighs and arms and keeping fit! I did my 30 days challenge and managed to drop to 54kg over the summer. I kept up some of the stuff like cycling to work almost every day, snacking less, more fruit and veg, as well as eating smaller portions. Everyday I start my morning with warm water with a slice of lemon to kickstart my metabolism and I rarely drink milk tea or coffee anymore, instead I drink green tea! My goal weight from years ago was 50kg but over the space of 10 years I've never managed to hit that goal. Only 2 months ago, I somehow managed to hit that goal and actually went to down to 49kg! I had no idea what happened (think it was because I was actually a little sick for a week or two) but I was shocked. Everyone I knew told me I looked sickly skinny (not something I had aimed for) so I began to eat a little more to gain some weight back! Now I am a healthy 52kg. I'll keep everyone updated (with photos) every week on Sunday to let you know how I am getting on! 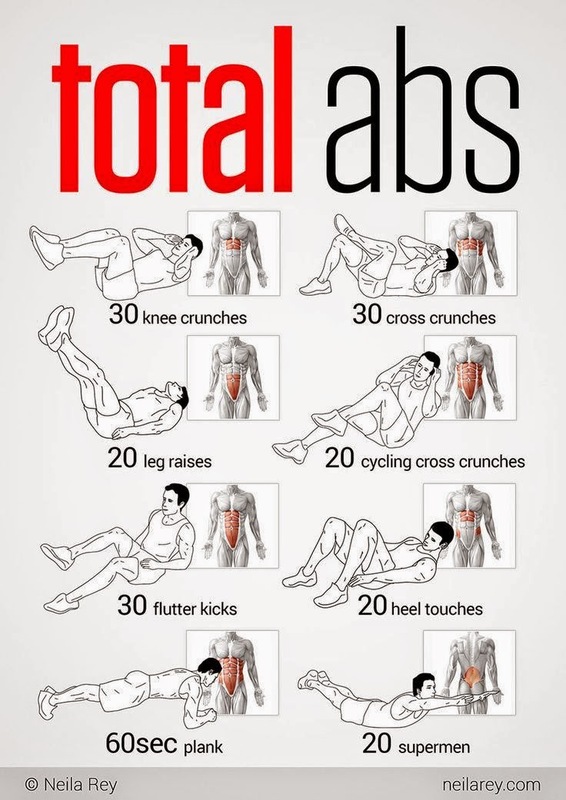 Love this as it shows you the different parts of the abs you will be working! If any of you would like to join me in this challenge do comment and let me know!! Remember, it's ONLY 30 days! Hope you're all having a super weekend! Great motivation! I'm trying to start getting fit now so that when its summer I'll definitely have the body I want. I've started spin classes twice a week which are so intense but I love the way I feel afterwards! Hopefully I'll reach my goal in no time! Great post, really interesting and fun to read! I love your blog and I have followed you with Bloglovin and GFC. If you ever get a chance to check out my blog I would be delighted, thanks.